President Donald Trump on Friday protested a decision to postpone his planned military parade, criticizing Washington city leaders and announcing that he'll attend an Armistice Day parade in Paris in November. 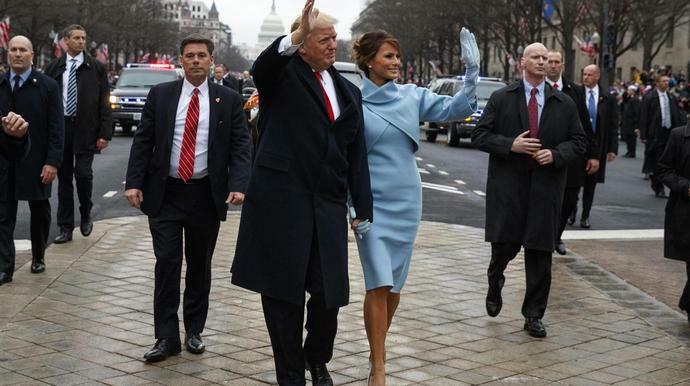 The Pentagon said Thursday that it would postpone Trump's parade indefinitely because of ballooning costs. The Defense Department estimated the cost at $92 million, including $50 million for the Pentagon and $42 million for other government agencies, a Pentagon official told CNBC. The parade had been scheduled to coincide with Veteran's Day this year. D.C. Mayor Muriel Bowser, a Democrat, responded to Trump's broadside in a tweet that referenced the "realities" of the parade's estimated $21.6 million cost to the city. D.C.'s estimate includes more than $13 million for police, and several million more for emergency medical services and traffic control, a spokeswoman for Bowser told HuffPost. A military parade has long been a desire of Trump, who admires the strongman practices of authoritarian leaders. He reportedly wanted military vehicles at his inauguration parade last year, and later expressed a desire for his own military parade after seeing one celebrating France's Bastille Day during a visit to Paris. This article has been updated to include cost estimates from the D.C. mayor's office.